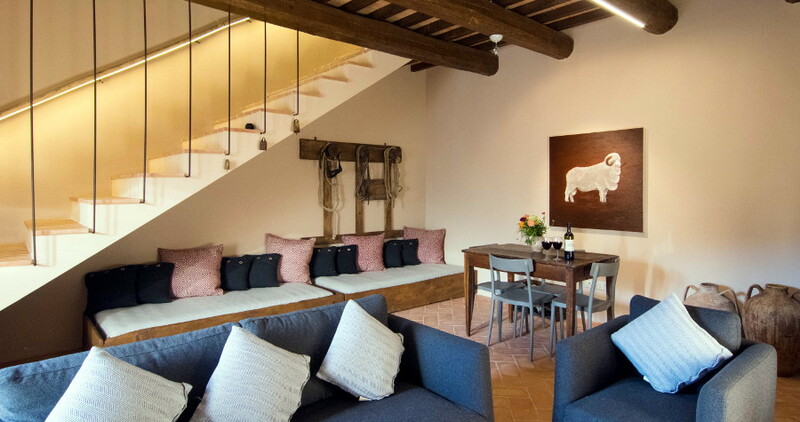 Stay in one of our two luxurious suites which have been immaculately restored and furnished using a mix of contemporary design and traditional materials creating a relaxing, pleasant atmosphere with modern comforts and rustic charm. 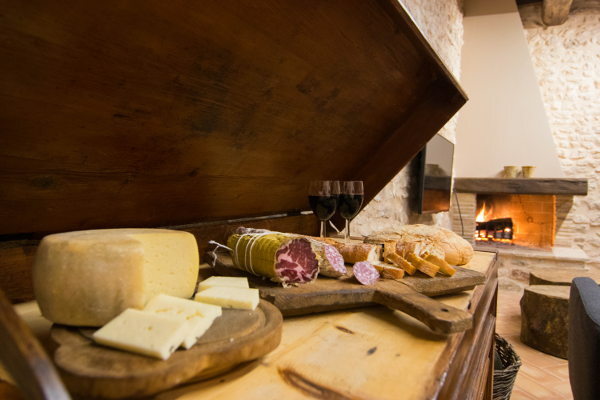 Savor Umbrian home grown salamis, cheese and bread prepared on a platter and replenished daily, and enjoy with any bottle of wine stocked in your suite. 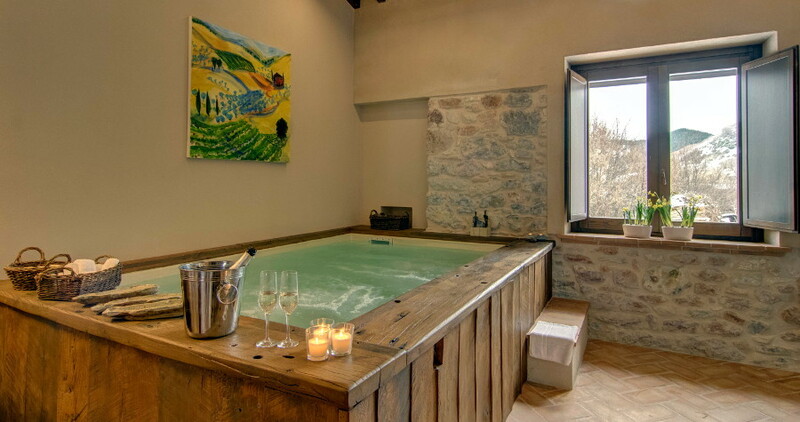 Unwind in your suite’s Jacuzzi, ready and available when you want so you can immerse yourself in the warm water and turn on the hydro massage. 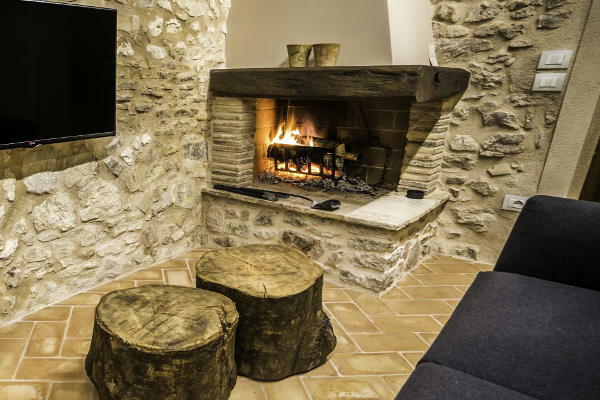 Relax in front of your own fireplace in the suite and watch the flames and embers while you reflect on your day or let your thoughts wonder. You will have over 60m2 of space and comfort in your suite covering two levels with a spacious living room on the ground floor and a big comfortable bedroom and adjoining bath/spa on the first floor. 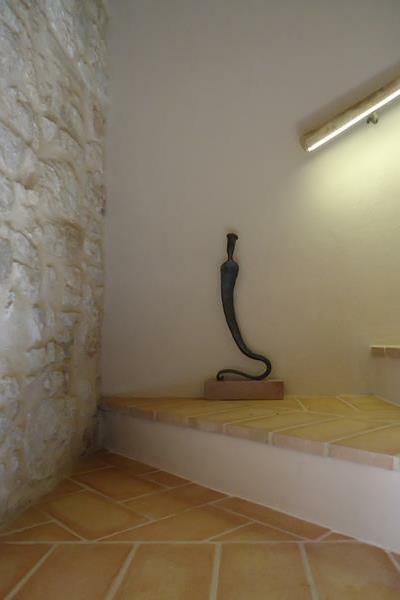 Each suite is decorated with local antiquities as well as sculptures and paintings from renowned artists that reside in Umbria. 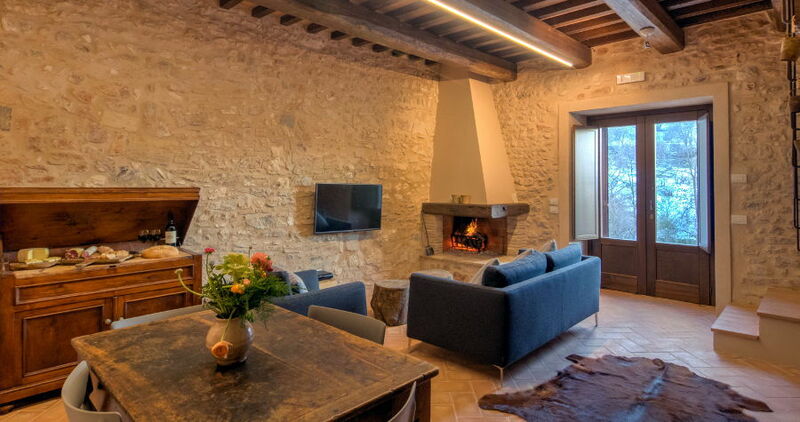 The living room is furnished with a comfortable designer sofa and armchair, an antique dining table, a wine rack, a buffet and other furnishings made from local timber and two day beds that can also sleep extra people. 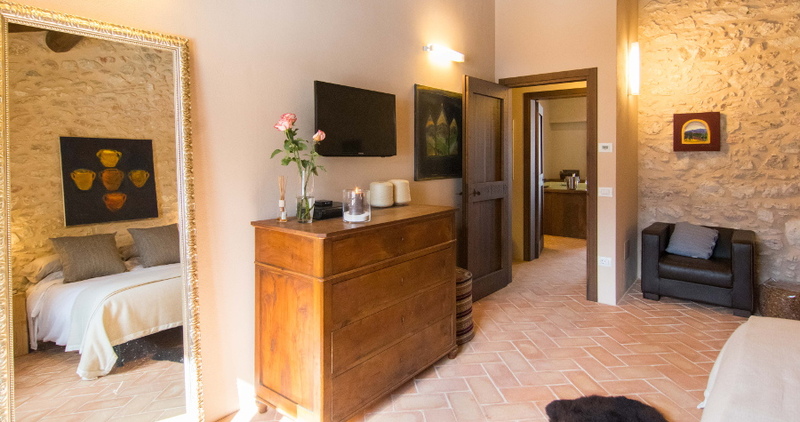 The bedroom is spacious but cozy, furnished with an antique wardrobe and chest of drawers, two comfortable armchairs and footrests, a King-sized bed and two locally made bedside tables. 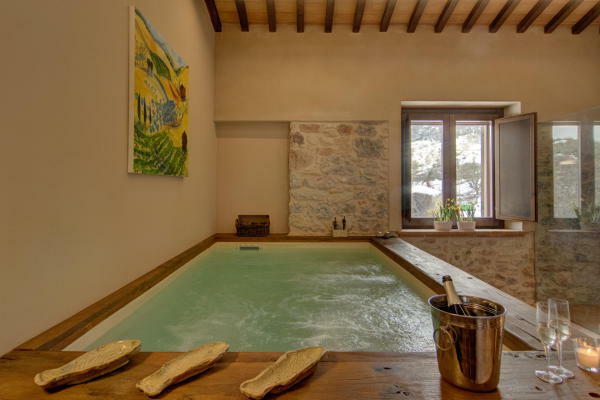 The bathroom/spa has a double shower and large private Jacuzzi and a separate toilette with additional basin and bidet. 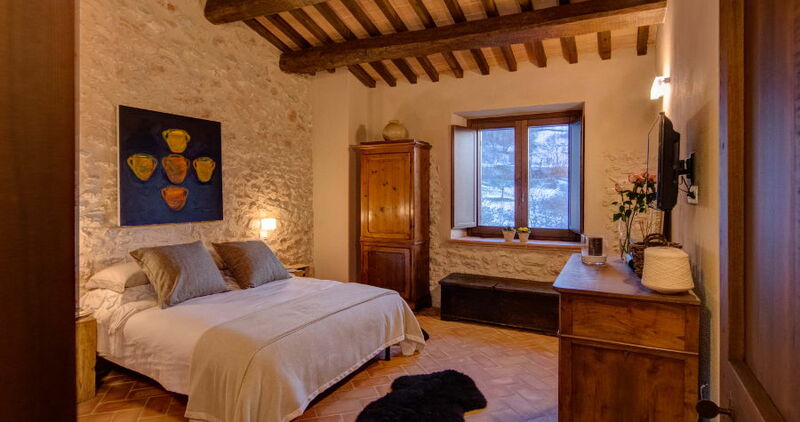 The suites are provided with high quality Italian linen. Two (single) day beds in the living room. Crib/infant bed available upon request. Extra covers & pillows available. Flat screen TV in bedroom and living room with satellite channels. Mini bar fridge to cool your wines and favorite soft drinks. 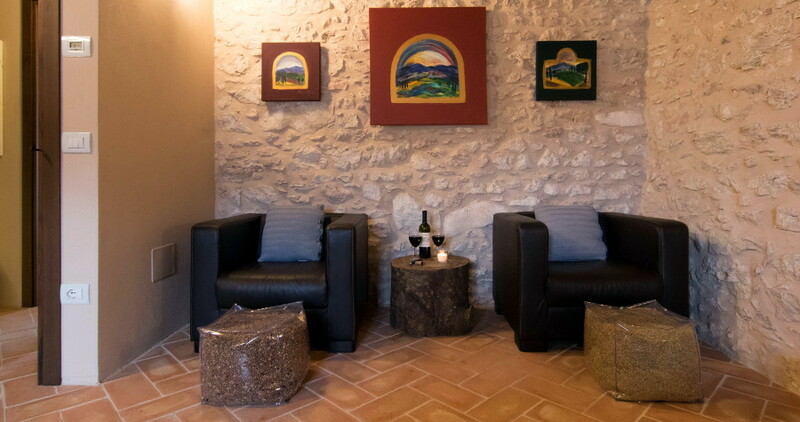 Complimentary toiletries that are natural and made in Umbria. 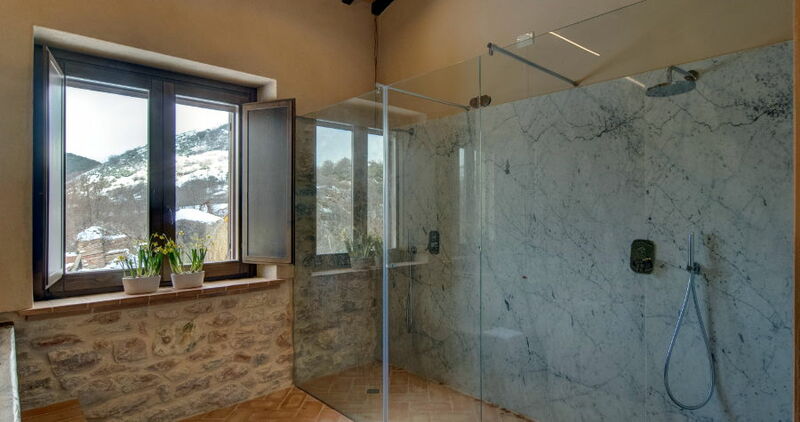 Bathroom with large Jacuzzi, double shower and lavatory. Towels, bathrobe and slippers provided. Meals served in your room or other parts of the village. 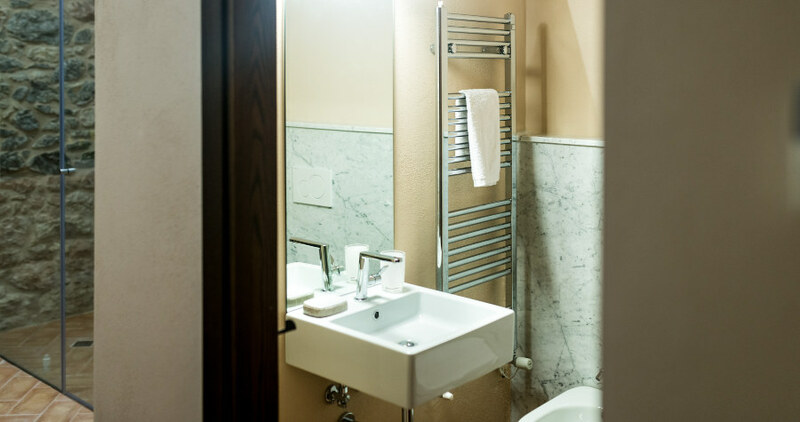 Linen & towel service every day. Rack full of wines available for your stay. Platter of home-made salamis, cheese & bread replenished each day. Our personnel available to you any time during your stay.